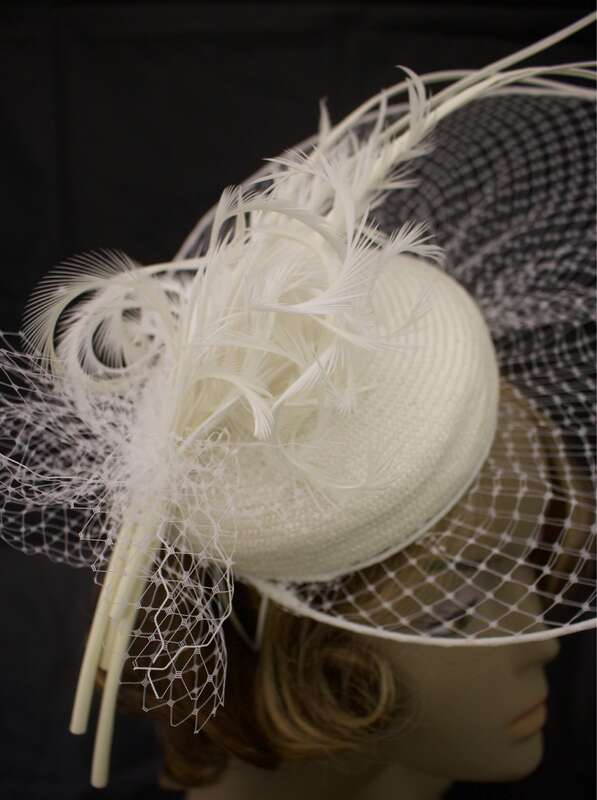 A stunning white hatinator percher hat on straw pillbox base trimmed with hand curled feathers. 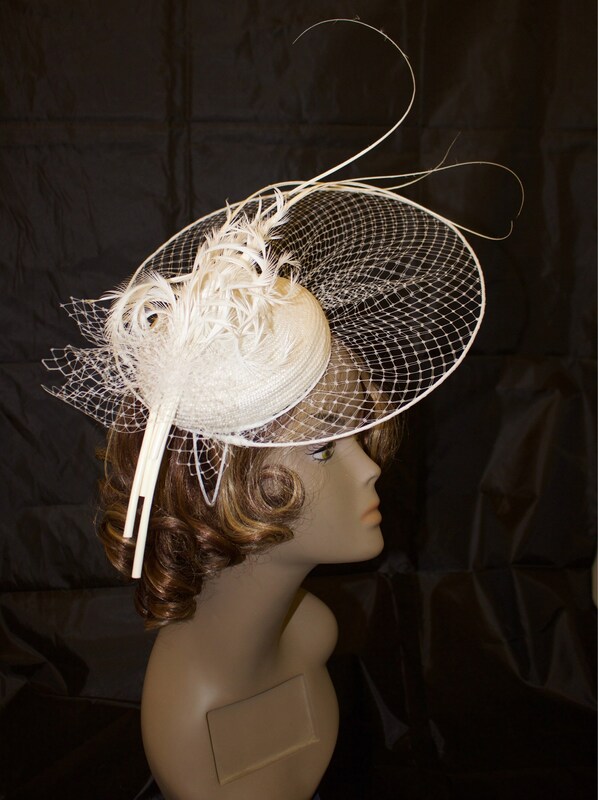 Hatinator made from white straw base with halo style rounded netting brim and fixed on headband. 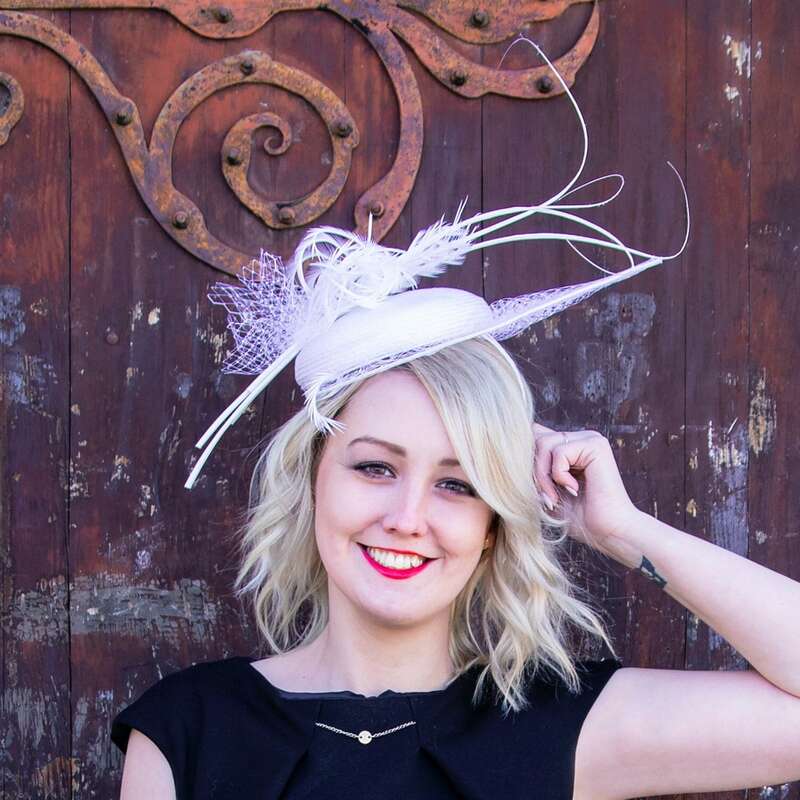 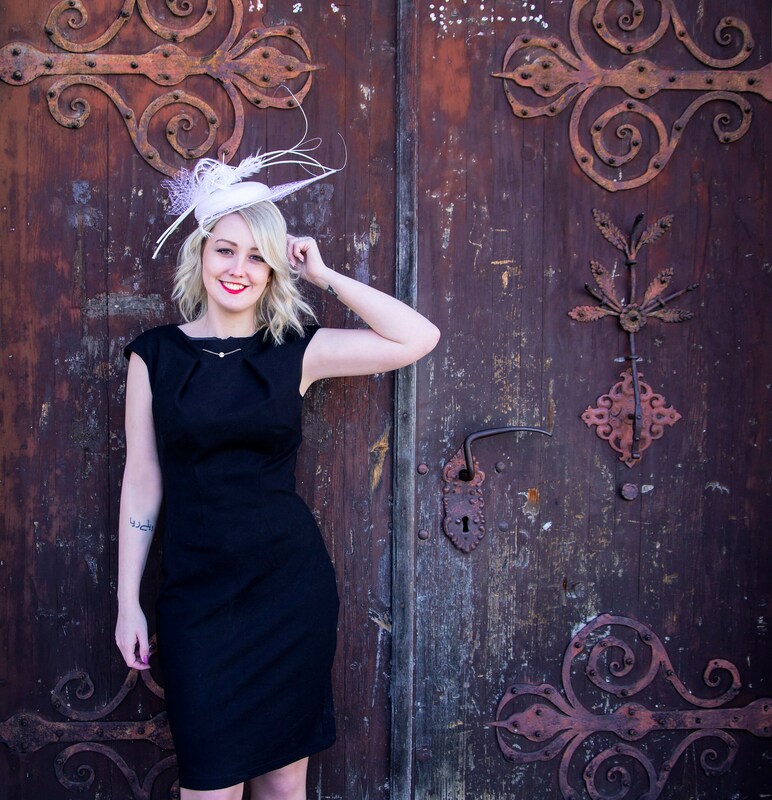 This fascinator hat is couture millinery and completely handmade from scratch. 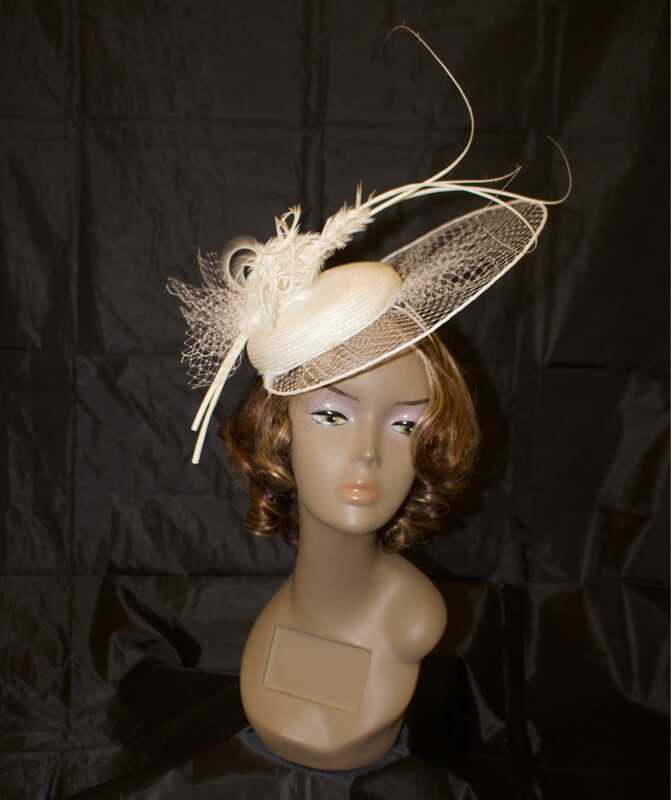 Feathers have been curled by hand and attached to the base. 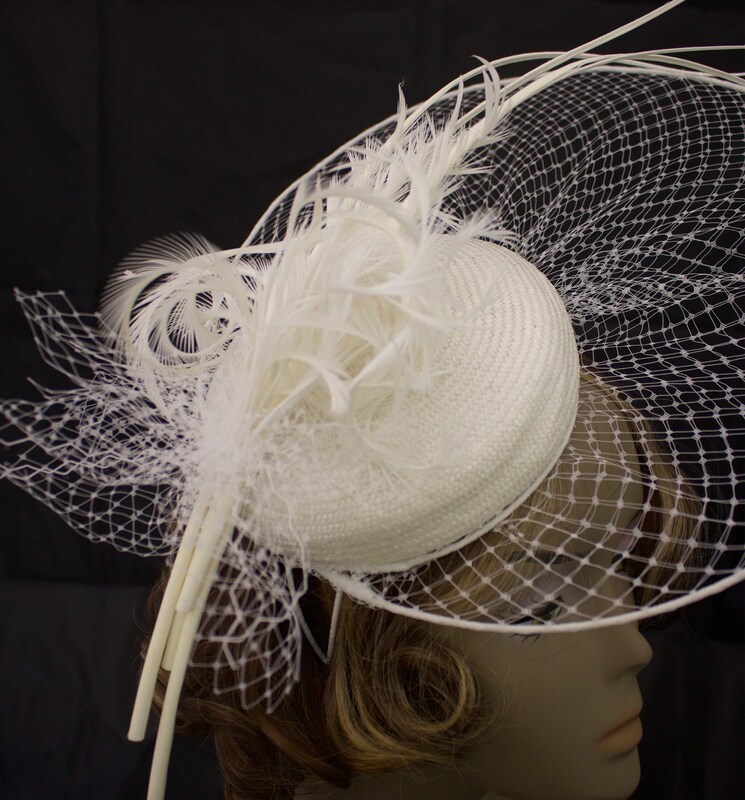 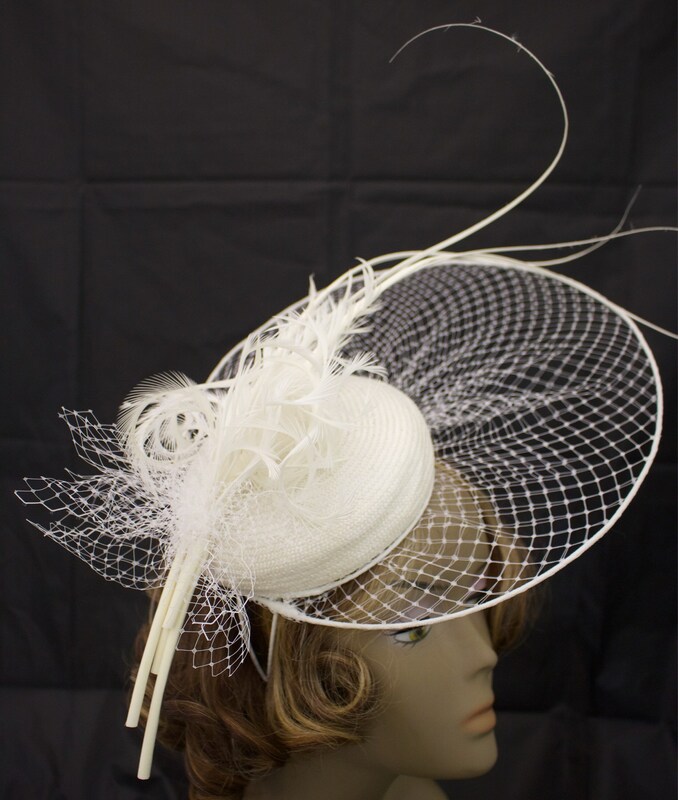 This hat is ready to ship in white color and could be complimentary accessory for wedding or coming up Kentucky Derby festival or Royal Ascot. 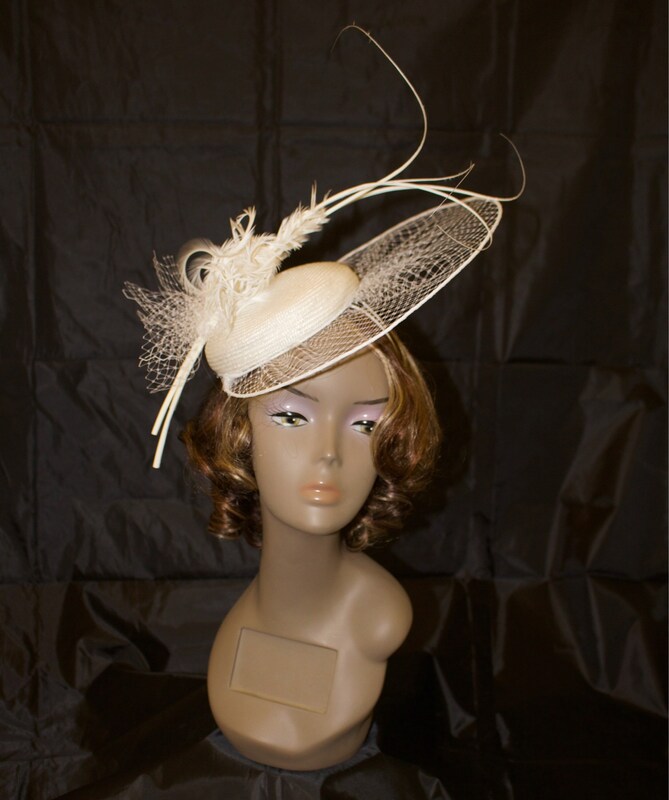 It is customizable as well so if you like it but need in different color do not hesitate to contact me. 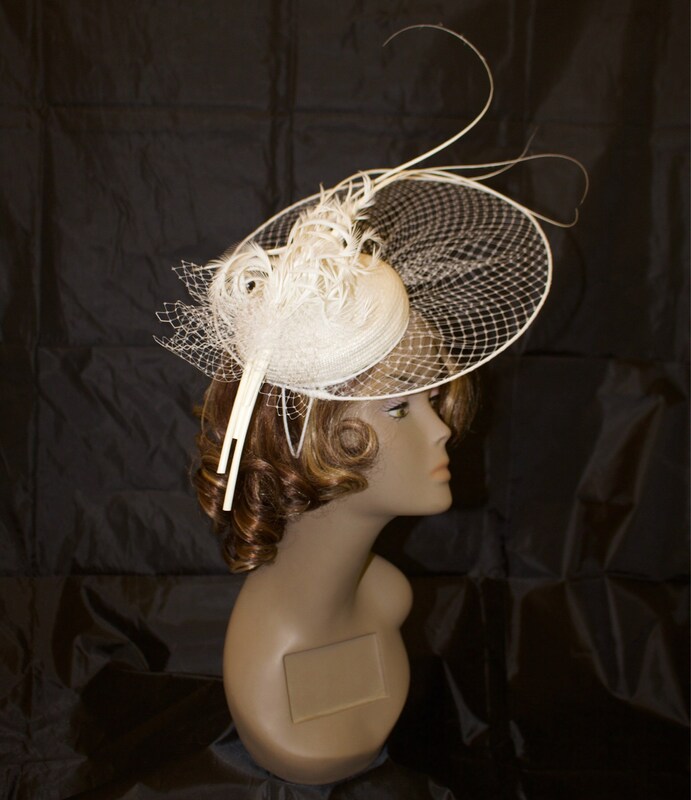 All my millinery are send with special hat box where you can store your hat when not wear it. 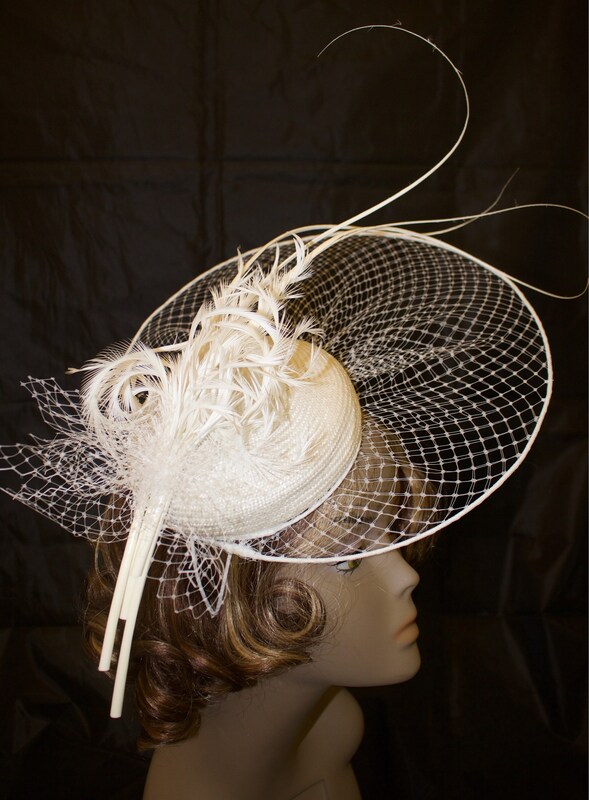 Please feel free to contact me for any customization you required.